Online Video Archives · Stop the Cap! Philo is the latest streaming alternative to cable television consolidating its package offerings, ditching a 45-channel skinny bundle sold for $16 in favor of a single 58 channel package Philo will continue to sell for $20 a month. “Starting May 6, we will move to only offering our $20 package — the 58 channel package — to new subscribers. For those who are already subscribed and anyone who subscribes before that date, nothing will change — you’ll continue to have the same package and same price options you have today. 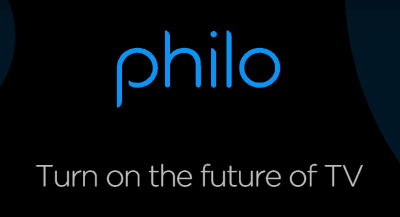 At Philo, we care deeply about creating the best TV experience possible at an affordable price. Since we launched 18 months ago, most of the other companies in our space have raised their prices, in some cases multiple times. We didn’t want to do that. Still, when we looked at all of the costs of operating Philo — which increase over time — consolidating into a single $20 package was the best way for us to maintain the same offering we have today without raising prices or having to cut back in places we strive to excel, like our customer support. “There are a bunch of complicating factors, though. It’s tricky to do with the major network groups because the deals don’t generally allow it. There’s also an issue with making things more complicated. Canada generally has something like this model (along with a mandated a la carte channel model, but nobody does it), and it’s actually super overwhelming. Some providers have 80+ different packages, and it’s impossible to just figure how to get what you want. In general, I think choice is good, but I also think that bundling is good when the bundles make sense and are focused. The big issue is keeping things that some people want a lot, and that cost a lot, but other people don’t care about (e.g., sports) from driving up the cost for everyone. Trust me when I say that even if we could break things up more, the economics would probably net out where most people pay about the same but get fewer channels. We are actually looking at making more content available through add-ons. I think it makes sense in a lot of cases, especially for premium/niche content. Discovery has announced an exclusive agreement with BBC’s Natural History Unit that will open up decades of natural history and wildlife programming for on-demand viewing on Discovery’s forthcoming subscription streaming platform, planned for a 2020 launch. The BBC Natural History Unit is the world’s largest producer of radio, television, and online content dealing exclusively with natural history and wildlife programming. Launched in 1957, the department produces around 100 hours of television and 50 hours of radio programs annually. Some of that programming comes from well-known naturist Sir David Attenborough, himself responsible for hundreds of hours of award-winning BBC nature documentaries. A limited amount of programming produced by the unit is already available on other platforms, like Netflix, usually branded as BBC Earth. But only a limited catalog of content is on offer, typically licensed for streaming for one year. The new agreement between Discovery and BBC will make Discovery’s forthcoming subscription video service the exclusive streaming home of all BBC nature and wildlife programs, except in the United Kingdom, Ireland, and China. More importantly, Discovery can make the full BBC catalog of nature programming available for viewing. Discovery’s plans for its subscription streaming platform have quickly evolved since first announced last year. 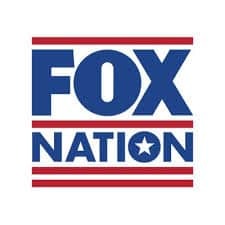 The original plan was to offer a $5-8/mo service showcasing programming from over 30 networks already operated or owned by Discovery worldwide. The well-known cable network announced its plans for a streaming service after completing its $14.6 billion acquisition of Scripps Networks Interactive in 2017. The acquisition allows Discovery to blend its own nature and history programs with lifestyle content from Scripps’ networks like HGTV, Food Network, and DIY. 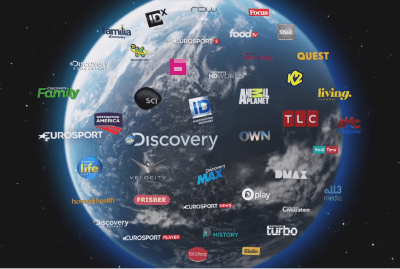 Now, Discovery is planning several different tiers of its streaming service, each offering subscribers a very deep catalog of non-expiring content. The BBC Natural History programming add-on is expected to cost under $5 a month. Other planned add-ons may feature a rich catalog of educational videos for do-it-yourself home projects, a video cooking school, and others to teach people sports like golf or tennis. Discovery CEO David Zaslav sees the opportunity for Discovery to launch the “Peloton of food,” a reference to the stationary bike manufacturer that also sells exercise routine subscriptions to owners. In such a scenario, a celebrity chef like Bobby Flay could host hundreds of hours of cooking content, teaching subscribers how to cook everything from a turkey to a complete cajun-style meal. Discovery has already put its wheels in motion, launching streaming services with sports programming including golf and cycling. Zaslav envisions the future of Discovery’s streaming service to be the Netflix of factual content programming. He noted most of the huge entertainment companies are clashing head to head by competing with scripted entertainment programming. Discovery will differentiate itself with documentaries, education, sports, and nature specials. 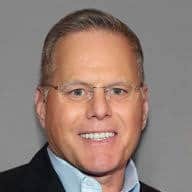 Zaslav admits Discovery’s earlier forays into streaming, including its participation in TV Everywhere — offering a limited number of shows for streaming to authenticated cable or satellite subscribers — has not been very successful. Contract restrictions often limited how long series can remain available for viewing, and the catalog of options was never particularly deep. With the new ad-free streaming platform, Discovery envisions releasing a massive menu of content, frequently updated with new shows from its own production unit and its partners. Most of Discovery’s own programming was produced for its cable networks, but nothing stops Discovery from creating content specifically for its streaming platform. Discovery’s new agreements should also allow it to keep content available indefinitely. Discovery plans on spending hundreds of millions of dollars to develop and market its new services. It will face the challenge of convincing customers that subscribing to yet another streaming service is worthwhile. A 2018 survey from Magid Research found consumers were willing to spend up to $38 a month on a combination of streaming services like Netflix, Hulu, and Amazon Prime Video. Discovery hopes to launch its new platform in time to grab subscribers before new competitors from Disney, WarnerMedia, and Apple take hold and possibly tap out would be customers. The deal with the BBC is part of a larger transaction between the two programmers over their European networks. The BBC is spending $225 million and assuming $90 million in debt to acquire Discovery’s share of several UKTV networks, including Alibi, Dave, Drama, Eden, Gold, W, and Yesterday. In turn, Discovery assumes full control of lifestyle channels Home, Good Food, and Really. STIRR, Sinclair Broadcast Group’s new free-to-stream, advertiser-supported service, this week added Dan Abram’s Law and Crime Network to a growing lineup of second-tier networks airing off-network shows, YouTube videos, movies, oddities like drone footage, and local news content produced by Sinclair-owned television stations around the country. As of today, STIRR features 29 streaming linear TV networks, most you’ve never heard of before. The primary draw for most will be access to live streaming news from dozens of Sinclair stations around the country. STIRR asks users to pre-select the city and station nearest them, which then allows access to STIRR CITY, a channel that carries complete coverage of local news and features produced by that Sinclair station. In between live newscasts, the channel features a small handful of off-network shows like Highway to Heaven (commercial free for some reason) and live carriage of Cheddar, a business news network. Users can choose and change any Sinclair station they like anytime, useful during breaking news stories several cities away. 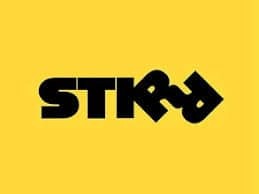 Although STIRR incorporates plenty of its cohesive platform branding messages across its lineup, it is clear most of the included networks are a motley crew of independent thrown-off-cable misfits, low-budget oddities that feature little more than drone footage or a queue of YouTube videos, and several digital subnets you probably have encountered on over the air channels. Most of the latter air old off-network shows from the 60s, 70s, and 80s, similar to Me TV. But none seems compelling enough to replace a cable TV or streaming TV subscription. STIRR is only a few months old, and lineup additions and changes are forthcoming as the service grows to around 50 live/linear TV channels by the end of 2019. Streaming quality is good, but older programs show their age. Sinclair likely bought a range of cheap syndicated series to scatter across its own STIRR-branded channels, and many inexplicably run without commercials, which means viewers are often treated to several minutes of “we’ll be right back” billboards between shows. Sinclair presumably would like to sell its own advertising on the service, but so far the vast majority of commercials are unpaid promos for different STIRR shows and channels. A rudimentary program guide offers viewers the titles of shows, but few descriptions. STIRR does not offer a record option at this time. STIRR is available from iOS and Android apps, on Amazon Fire TV, Apple TV, and Roku, and on desktops through the STIRR website.